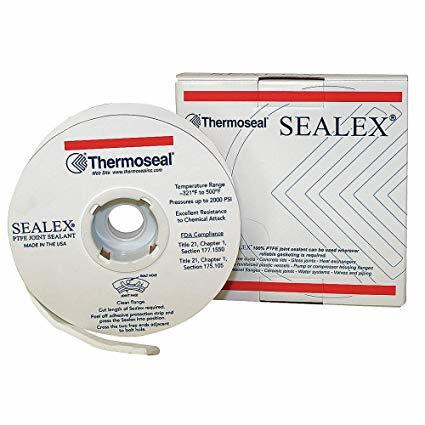 Sealex® joint sealant, specially processed, 100% pure PTFE on a roll, provides soft, highly compressible gasketing for longer life and trouble-free sealing. Its form-in-place versatility also cuts maintenance and storage costs. The high compressibility of Sealex® enables it to effectively fill flange imperfections for a tight, leak-free seal. Under pressure, it provides a very wide, thin ribbon-like joint sealant. Unlike conventional PTFE which is prone to cold flow, Sealex® has good creep resistance and bolt torque retention properties.